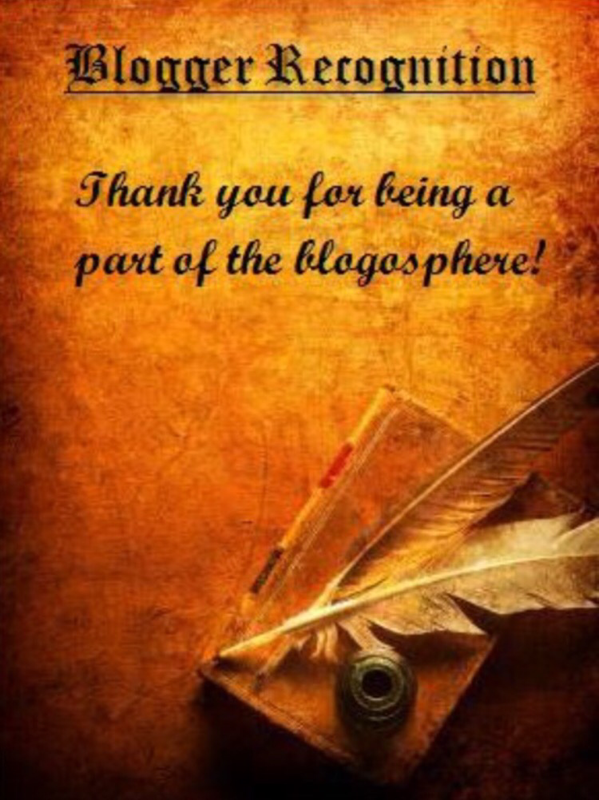 Something quite unexpected happened to me this week – I was nominated for a Blogger Recognition Award. The nomination came from Mrs P at the Craft Odyssey blog. Thank you so much for such encouragement so early in my blogging journey Mrs P. It’s greatly satisfying to know that there is someone out there in cyberspace actually reading my ramblings let alone feeling it worthy of an award! I have been an admirer of several very talented craft bloggers for a few years now and although I liked the idea of having a go myself I never thought I’d be capable of writing something people would be interested in reading. Over the past couple of years, as my boys are growing up a bit, I’ve been thinking a lot about my previous career in journalism which I gave up on the arrival of our first baby. I used to really enjoy writing pieces and loved the process of being able to tell a story, however I’ve not done it for over a decade. When a few people recently suggested to me that I actually start a blog I gave it serious consideration as a way to get back into writing. After a couple of false starts I took the plunge early this summer and haven’t looked back. It has given me an outlet for my photo taking addiction and for my need to chat to somebody! We live in a rather amazing place too, Gibraltar is a hive of activity and we’re often involved in great events here as a family so there’s never a shortage of things to write about. My blog is a way for me to be creative which fits in perfectly around my life as a Mum but gives me a chance to be ME again! Hopefully, if it continues, it’ll be something that we can look back on as a family to remember all the little things which are so easily forgotten in the passage of time. In my very short time blogging I have been bowled over with the support I have received not just from friends and family but also from people I have never and most probably will never meet – my very generous fellow bloggers, Facebook page likers, Twitter folk and Instagrammers who I have come into contact with so far. Thank you all very much for the warm welcome you have given me. Mariana at The Copper Kettle Blog thank you for all your advice and for inspiring my cooking! Sharon at Creativity and Family, one of my first followers. Thank you also for your encouragement especially early on! 4. Provide a link to the original post on Edge of Night . That way, anyone can find the original guidelines and post if needed, and we can keep it from mutating and becoming confusing! Congratulations and many thanks, I am honoured you choose me. I had the pleasure of returning to dear old Gib recently and was thrilled to be driven, in the tour minibus, by a chap who clearly remembered my days on the Rock. Keep up your good work. I am reading your current blurb on holiday in Madeira; an island with close wartime links with Gib. My very best wishes, Jolly Jack. Hop you got my comments on Ivy Benson and her all girls band, started on the Rock. Had proles replying to your reply !